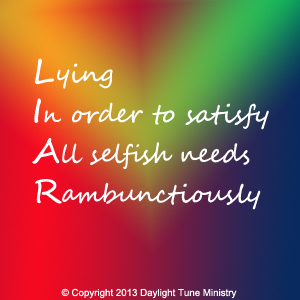 Do pleasing people lie to self’s cry? Does life consist all these? Ever since, I got married and have baby, the new job I took cause more piling tasks to clear and the need to spend time with my son. I have been rushing to work, home, attend my son, my parents who need helps, and even my mother in law. 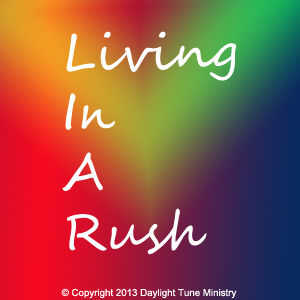 The feeling of living in a rush does tires me down. Suddenly, those four words produced the acronym LIAR. I do wonder how lies are related to rush living. Then another phrase of words came and it is a more precise definition. Somehow, I dig myself more to realize I feel miserable to please my parents, husband, child and in law. Do I care too much for them and neglect myself? Hoping the best for them, but I almost ended with no career life for myself. 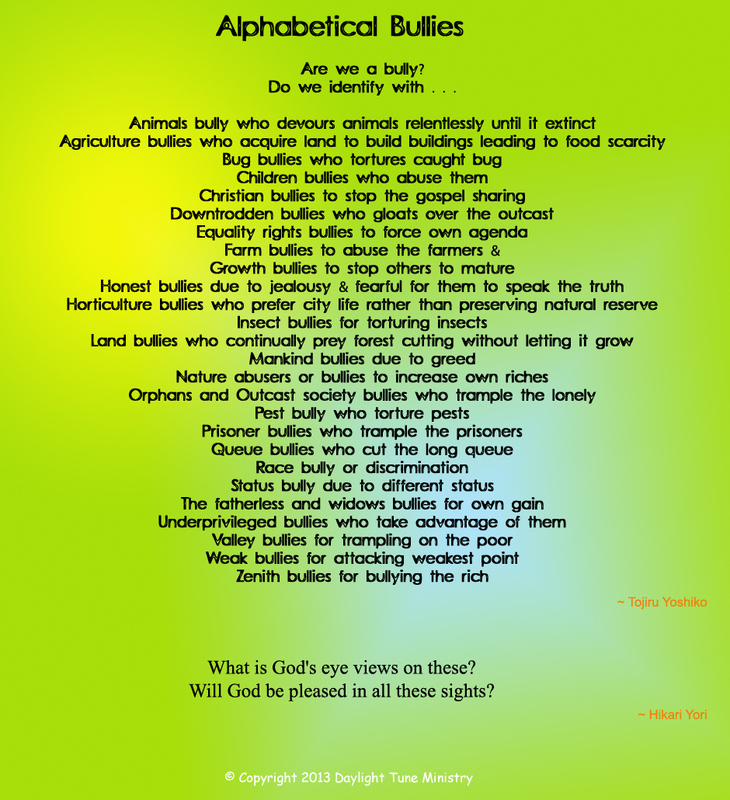 Posted in Acrostic, Poetry and tagged All, best, care, Christ, Creator, Disorder, God, Holy, Hope, Immanuel, Jesus, Liar, Lie, Live, Living, Lord, lying, mess, Messiah, Needs, Neglect, Please, Rush, Satisfy, Self, selfish, Son, Spirit. Bookmark the permalink. What is our point of time to realize our weaknesses? 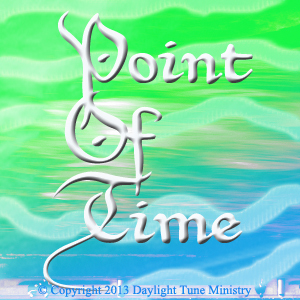 Thinking the point of time in our lives found the acronym of Pot. When I read Yori’s poetry, the image of kettle shouted for help appeared in my mind. But I also use pot to boil water. Posted in Acrostic, Poetry, Rhyme / Rhythm and tagged Beg, Christ, Creator, God, help, Holy, Immanuel, Increase, Jesus, Lord, Messiah, Plead, Please, Pot, smoke, Son, Spirit, Temperature. Bookmark the permalink. 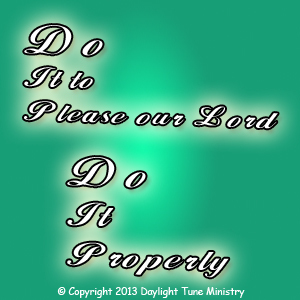 Do we run out of time doing the work that is pleasing to our Lord? Or do we run out of time chasing after vanity? 1. To grow roots or a root. 2. To become firmly established, settled, or entrenched. 3. To come into existence; originate. 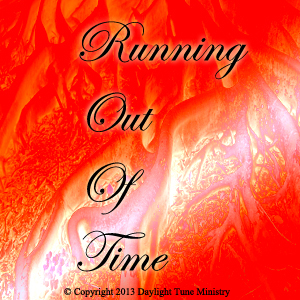 Posted in Acrostic, Poetry and tagged Bible, Chase, Christ, Creator, Doing, God, Holy, Jesus, Lord, Ministry, Out, Please, proverbs, Root, run, Scripture, Son, Spirit, Time, Vanity, Word, Work. Bookmark the permalink. “Do it properly” came to me producing the acronym Dip. Then the word “please God” came so I re-phrase it. Posted in Acrostic, Poetry and tagged Christ, Creator, Dip, do, God, Holy, Jesus, Lord, Please, Son, Spirit. Bookmark the permalink.